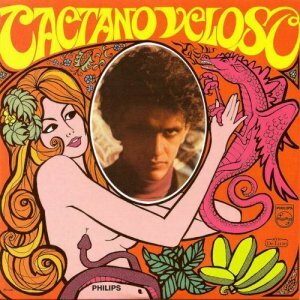 Caetano Veloso's first album as a solo artist marked the birth of the culturally revolutionary tropicalia movement, of which Veloso and Gilberto Gil were the leading figures. The concept of the movement was to modernize Brazilian popular culture and, through creative music and poetry, reflect the Brazilian society as it appeared at the time. Veloso and other tropicalistas mixed traditional Brazilian popular music primarily with international pop culture and psychedelic rock, but they would incorporate practically anything that crossed their minds. This kind of wild cultural and musical cannibalism was found to be very controversial by many elements of the Brazilian society, both to the left and to the right of the political spectrum, and would ultimately lead to the arrest and forced exile of Caetano Veloso and Gilberto Gil in 1969. After the hugely successful release of the psychedelic pop poem "Alegria, Alegria" as a single in 1967, Veloso aimed at releasing an album that would surpass the Beatles' Sgt. Pepper's in terms of creativity, while at the same time reflecting the new, more international, Brazil. The result was this unique 12-track gem with classics such as the previously mentioned "Alegria, Alegria," the lovely and ironic "Superbacana," and the Latin-flavored "Soy Loco por Ti America." The title of the opening track "Tropicalia" -- a song that in a wonderful way summarizes what the movement was all about -- was actually borrowed from an installation by visual artist Helio Oiticica which Veloso found very inspiring. Soon after the release of this album, the term "tropicalia," to the mild irritation of Veloso himself, became the name used by the media to describe the entire Brazilian movement. In addition to the great and uniquely inventive music on the album, what strikes the listener is the excellent standard of the lyrics, written by such prominent poets as Capinam, Ferreira Gullar, and of course Veloso himself. More often than not, the lyrics could easily stand alone as poems. 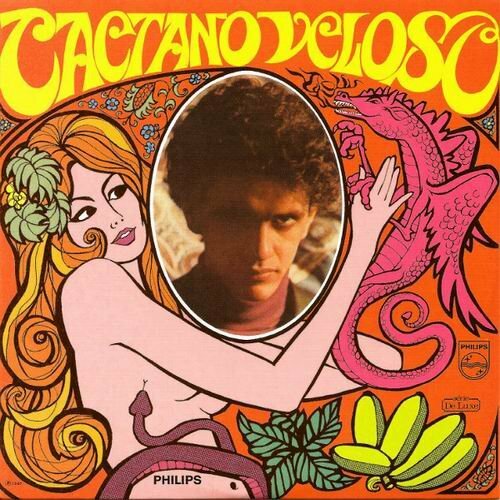 For all its artistic quality, and its position as the first tropicalia album, as well as Caetano Veloso's first solo album, this is a classic and one of the most important albums of Brazilian popular music history.